I usually avoid marriage-help books like the plague because, in general, I find them far removed from the reality of married life. “Theology of the Body” is beautiful and the ideal, but at least in my sixteen years of experience, has relatively little to do with the ins and outs of getting up every day, taking care of a house and children, and staying married. While there are many wonderful moments, I also know marriage is hard, that it takes a lot of work and sacrifice, and that the whole “for better or for worse” is in those vows for a reason. I get up every day and do the best I can, pray a lot, and go to confession regularly to confess my sins and try to do better. I don’t need a book to remind me how far I am from the ideal of what God intended for a marriage. The 101 tips are divided into sections: “Make a Decision to Love,” “Adjust Your Attitude,” “Check Your Expectations at the Door,” “Get it Done Without Drama,” “Recognize that Winning is for Losers,” “Understand the Physiology of Fighting,” “Handle Criticism Gracefully,” “Soothe Yourself to Let Go of Grudges,” “Ask for Help without Whining, Complaining, or Demanding,” “Offer Help without being Demeaning,” and “Appreciate Your Spouse.” There is a great deal of good advice just in those titles. The tips themselves offer concrete ideas on having reasonable expectations, dealing with conflict, balancing household chores, being kind and being generous(how many times are we kinder to complete strangers than we are to the people we share our lives with?). The whole idea of divorce should be taken off the table. 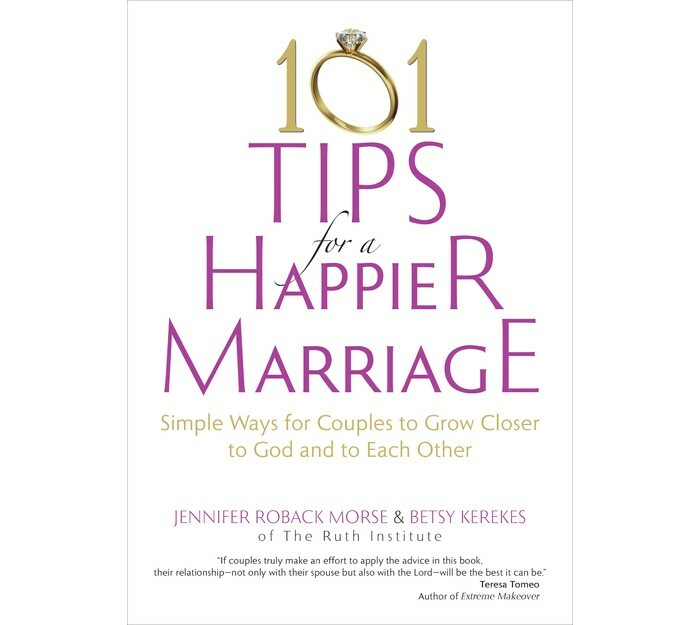 Morse and Kerekes acknowledge that there are dangerous marriages out there – this book is not for those situations, which need professional intervention and separation – but for the rest of us who travel through difficult times, divorce should not be an option. “To death do us part” is crucial. 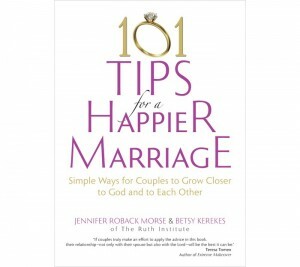 101 Tips for a Happier Marriage should be handed out to every couple that takes part in a marriage preparation program. If every couple followed its advice, there would be many more happy and successful marriages.